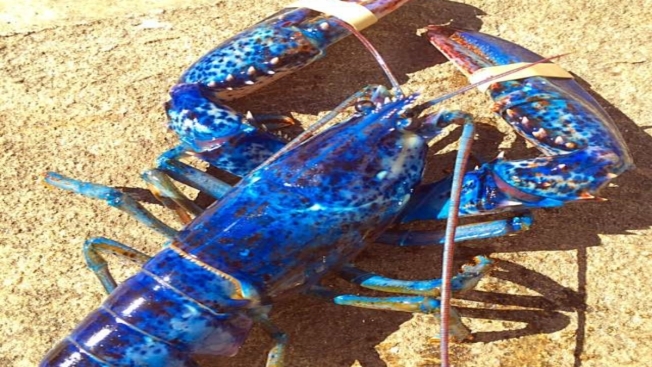 A blue lobster has been caught by a local lobsterman in New Hampshire. The crustacean was brought to Ray's Seafood in Rye on Sunday with a bunch of other lobsters. A cook was sorting through the lobsters when the blue one was spotted. The lobsterman who caught it hadn't noticed the color because of the sunglasses he was wearing. Ray's Seafood is donating the lobster to the Blue Ocean Society in Hampton.